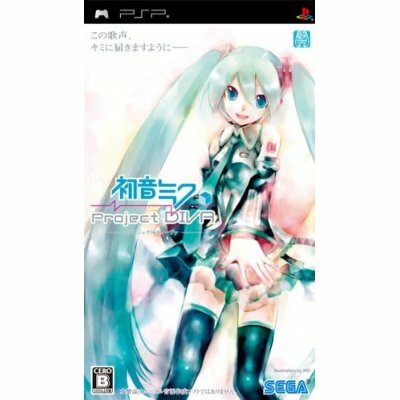 Hatsune Miku -Project DIVA- Box Art! While browsing Amazon Japan just now, I noticed that they’ve added a box art to Hatsune Miku -Project DIVA-. As you can see above, it’s nothing major. It’s the exact KEI illustration we saw earlier. What’s really new is that small writing in the upper left of the box art, which reads as “Kono utagoe, Kimi ni todokimasu you ni” which would mean “I wish this singing voice could reach out to you”. Thank you icie for pointing that out in the comment! Also, I wonder why have it been rated CERO B for 12 and up instead of CERO A for all ages, but it’s probably nothing major anyways. The cute Miku logo we saw on the Opening movie was also included in the upper right of the box art. It’s only about three more months before this game is released. As you may have known, Project DIVA will include a music edit feature, to add your own songs to play in the game. I’ll be telling you all about this feature in my next post. You may still pre-order the game by clicking here. Until then, see ya! Kimi ni todokimasu you ni–"
Basically, the gist is "I wish for this singing voice to reach you".